HMMH’s international experience includes assistance to Beijing Capital International Airport (PEK) in the design, specification, installation, and acceptance of a state-of-the-art noise and operations monitoring system (NOMS). Since the opening of the third runway and Terminal 3, the Team has provided training in the daily, weekly, monthly, and yearly use of the NOMS as the airport assesses the existing noise environment and looks for opportunities to improve the environment. 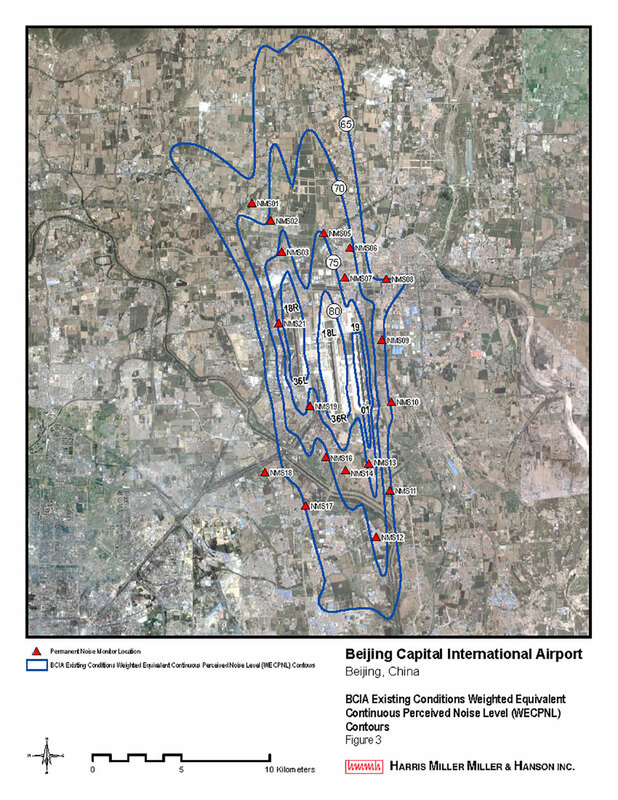 Using the data collected and processed by the PEK NOMS, the Team has completed an evaluation of the existing noise environment and provided PEK with potential noise mitigation and abatement options for their consideration.